Our Veterans Services partners with individuals to provide them with the tools needed to successfully integrate back into their community and transition from their military life to civilian life again. We work with individuals in supporting them with the best care options their community has to offer, and empower them to utilize identified resources effectively for their overall wellness. Crisis Follow-up: For individuals who recently experienced a behavioral health crisis and identified themselves as a veteran or a family member of a veteran, our team will reach out to the individual for a follow up after the crisis event. Within the follow-up, our team will work with the individual to find resources within their communities for the services that will best fit their needs. 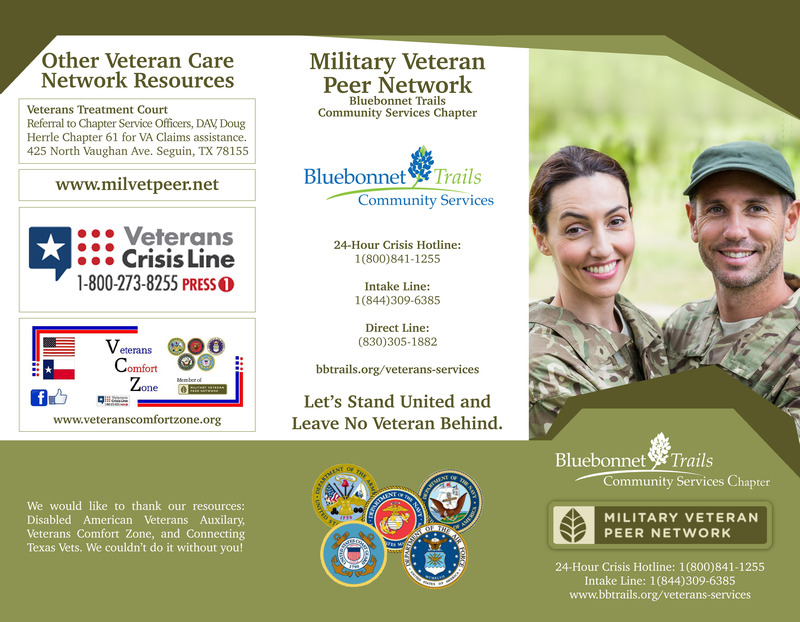 Educational Outreach: Bluebonnet Trails’ Peer Volunteers go throughout our communities we serve to reach out to veterans within the community. 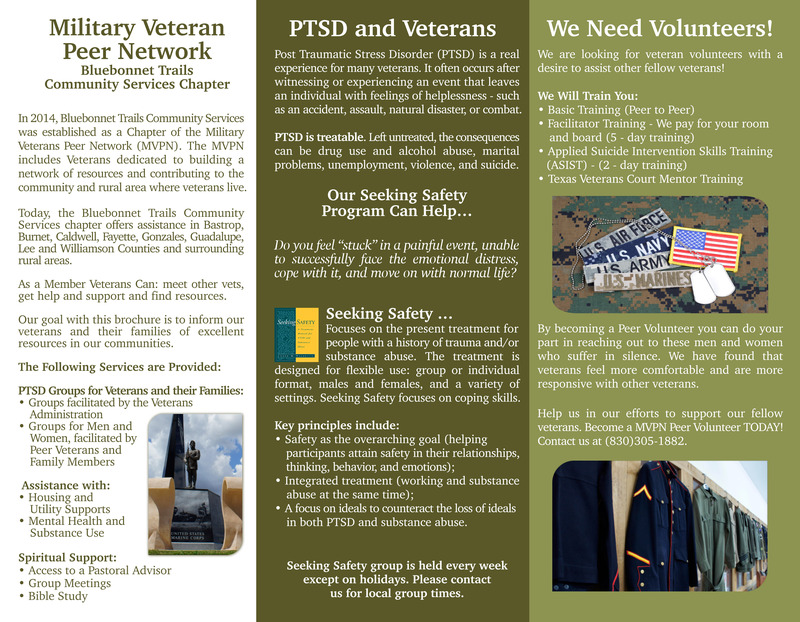 Our Peer Volunteers introduce individuals to services available within their community that will assist with Post Traumatic Stress Disorder, integration back into their community from military life to civilian life, how one can be affected by substance use, and more. We work with veterans to empower them with resources that will ensure a successful welcome back into their home town. Groups: Within our Veteran’s Program, we offer groups for veterans to come together and learn how to manage the traumas they have once faced. We work with individuals on safe coping skills and how to use the resources available for them. Our curriculum is based on the evidence-based practice of Seeking Safety. Our team is trained in this curriculum through the consulting team of Lisa Najavits, the author of the Seeking Safety curriculum. 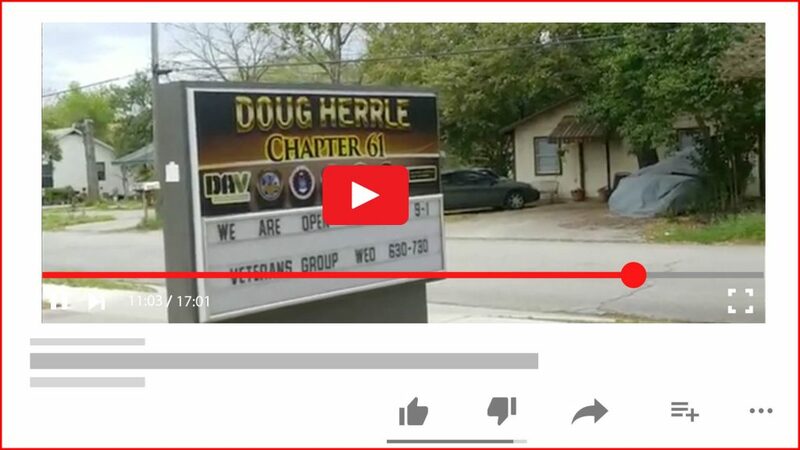 For more information on our local Military Veteran Peer Network chapter please click the link below.